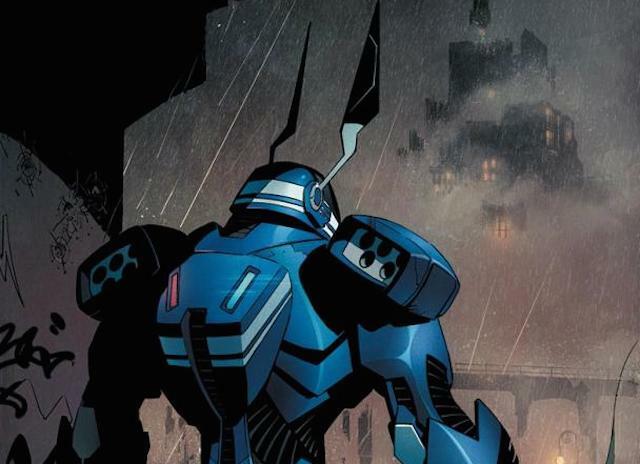 Not only is Batman sporting a new mechanical suit, but he’s getting a slick new pair of underoos as well. 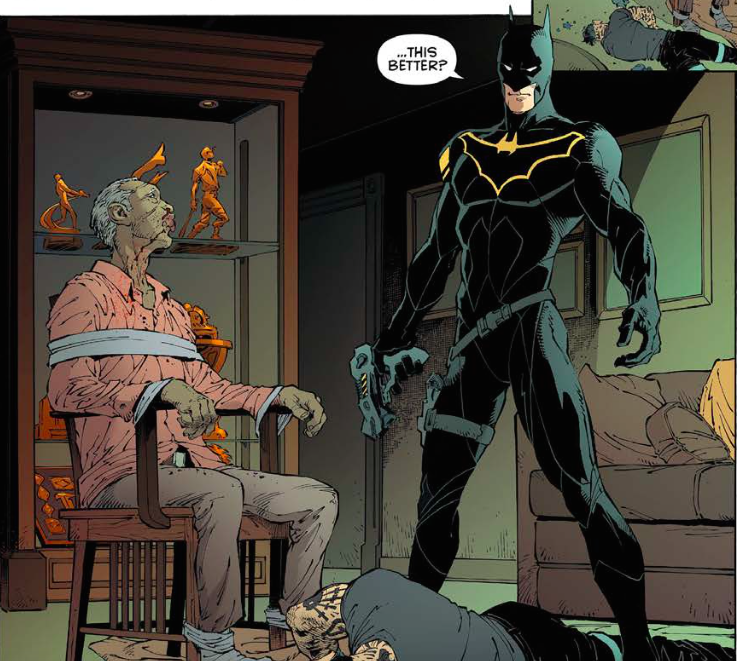 As revealed in today’s Batman #41, the new Batman has a second skintight suit underneath his behemoth armor. Skirting the line between dive-suit and Under Armour, the second costume allows Batman to exit the armor for missions requiring a finer touch. The much simpler suit comes with minimalist “utility belt,” which helps holster Batman’s new stun gun. Take a full look below. We'll say this much: The second suit is certainly less bunny-like. But what do you think, readers? Are you fans of the surprise batsuit? Let us know in the comments below.